True collaborations combine the interests, expertise, and passion of individuals, organizations, and communities. Yellow House believes in the power of authentic partnership to lift up the stories and creative expression of a diverse community. Yellow House works with many artists in the region, but has a special affinity with many of the artists in the adjacent CorK Studios. Future projects include exhibitions, community outreach, and artist residencies. Hope McMath is a long-time partner as a guest lecturer, co-curator, and program designer. 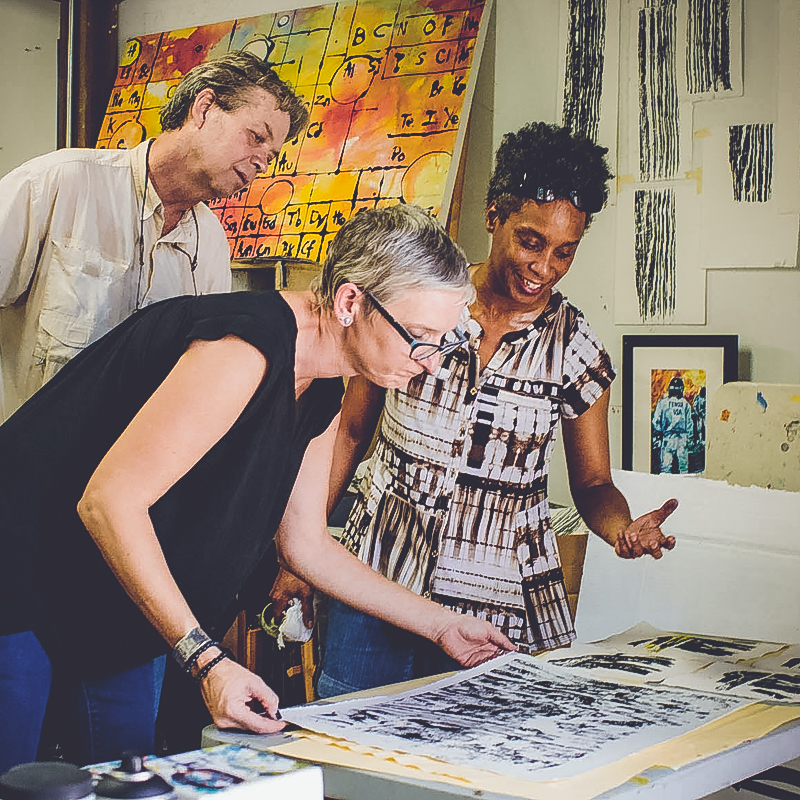 Initiatives include artist residencies, workshops for resident physicians, guest lectures, and in addition, the Director of the Humanities in Medicine program, Chrys Yates, is an advisor to Yellow House. Yellow House is curating the lobby gallery at The 5 & Dime Theater in downtown Jacksonville. Both organizations are committed to sharing compelling stories through the arts that build community, embrace diversity, inspire and educate. This is a magical marriage between two art forms and two organizations with the power to create change. Recent exhibitions have complimented plays including The Wall and The Laramie Project with themes of mental health and the lived experiences of the LGBTQ+ community. This special performing arts space, run by Yellow House friend and co-conspirator Barbara Colaciello, is a place for experimentation, training, and performance, a theater and storytelling space where the community comes together to witness work that uplifts, breaks barriers, and crosses lines. 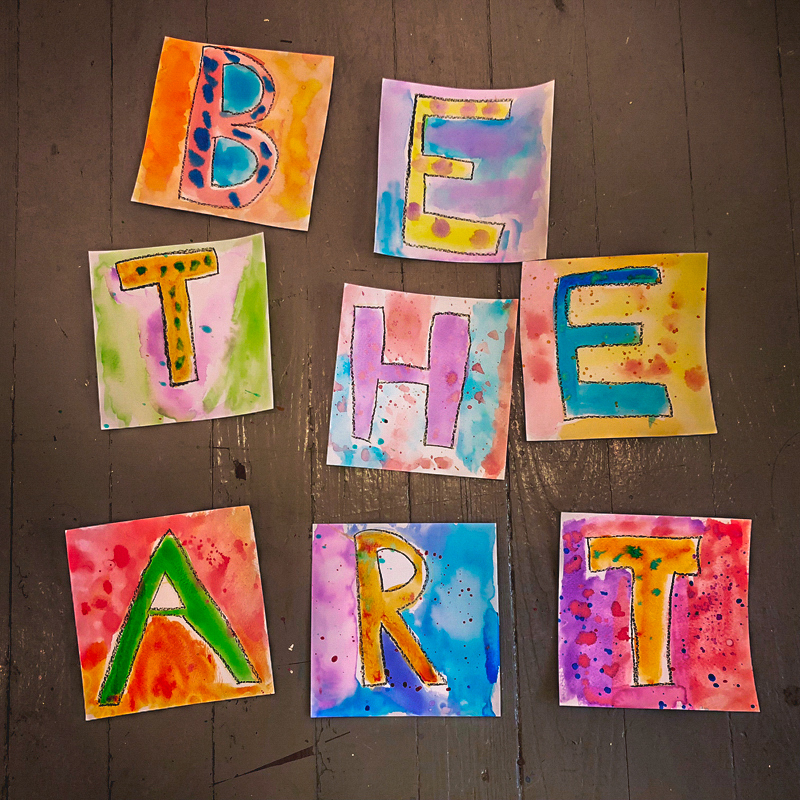 Most recently Yellow House and Babs’ Lab partnered on Be the Art Camp for Teens. Educational collaborations include programs with Douglas Anderson School of the Arts, Jacksonville Public Education Fund, University of North Florida, and Central Riverside Elementary School.